This is my first blog of 2011, and like my last blog of 2010 it is about all things iPhone and Mobile. 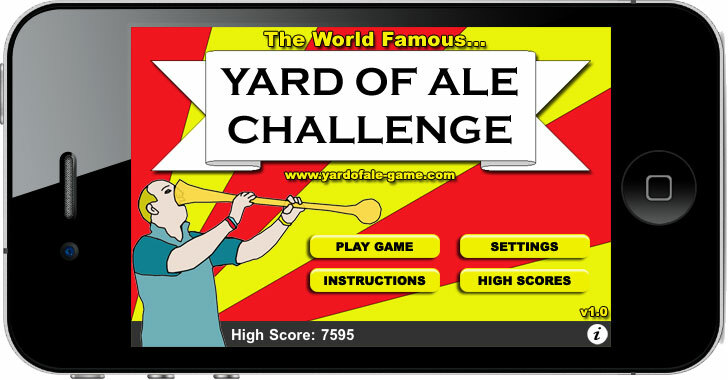 In the last week my latest iPhone / iPod Touch / iPad creation has been launched: Yard of Ale - a drinking simulation challenge! Read more about the game in my new Mobile Apps Portfolio: Yard of Ale app. Many more app / game releases are planned, and I hope to be keeping my portfolio up to date more frequently. I have also revamped, moved, and updated my Web Design Portfolio.